"IS THAT YOUR BOAT ?!?!" 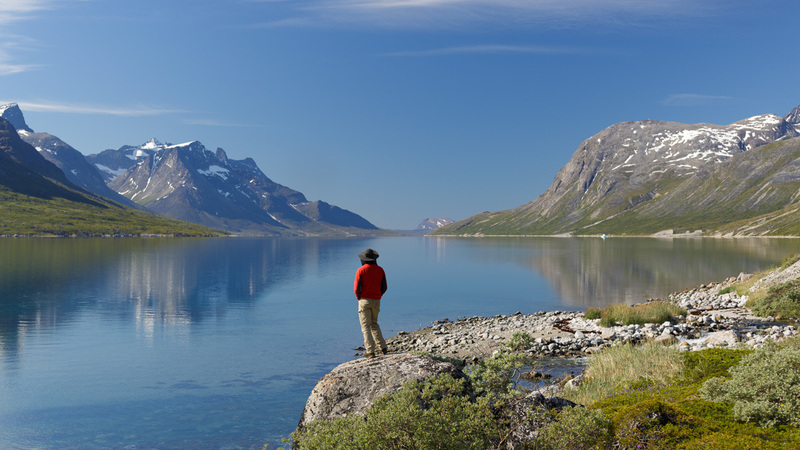 exclaimed Harsharn as we watched a tiny red speck bobbing in the vastness of Tasermiut Fjord. It was, and it was moving away fast, caught by the fjord wind. Panic hit and I started racing downhill. 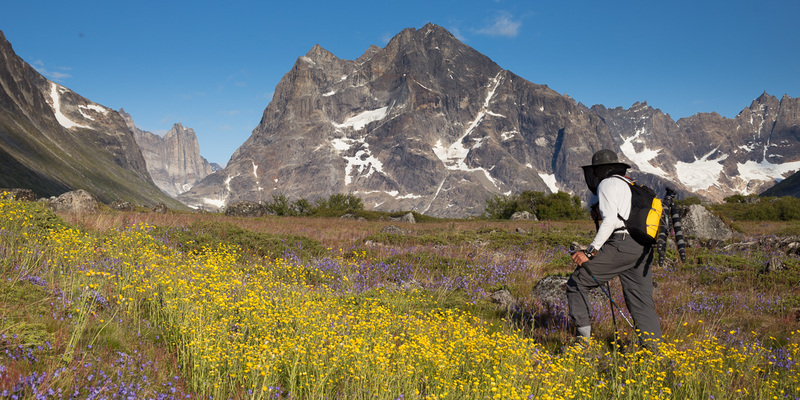 My August 2015 trip to Tasermiut was a dream adventure. Whilst I had only discovered the area the year before, I had long held hopes of a trip to untouched, largely unphotographed wilderness. 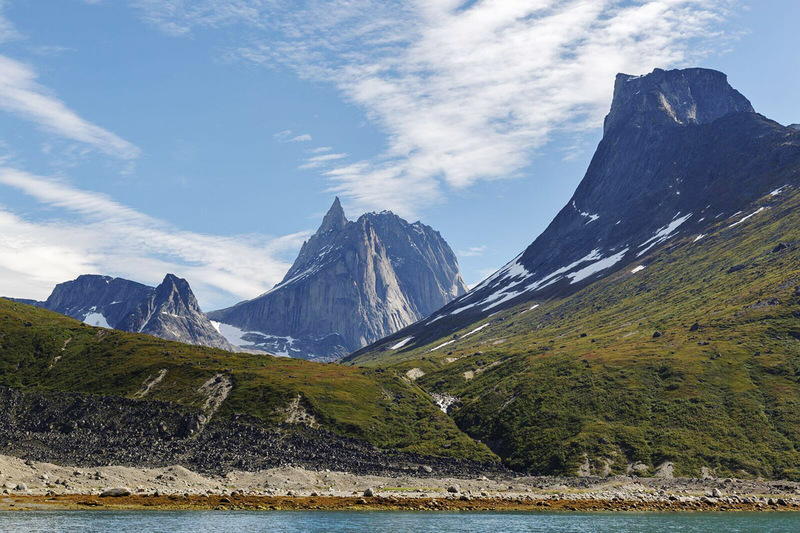 First I had considered Alaska, then Baffin Island and finally, when searching for the world’s highest rock faces, I came across a peak called Ketil in Tasermiut Fjord. The aim was to do an 18 day route packrafting and backpacking through one of the world’s most dramatic landscapes. During the trip I hoped to capture images that would define and justify my adventurous approach to photography. At the same time I would attempt to produce a time-lapse film of this little-known area. I quit my job, planned excessively, roped in a friend, invested in a packraft, booked flights and crammed my backpack to breaking point. A local farmer operates an occasional tourist boat into the fjord. 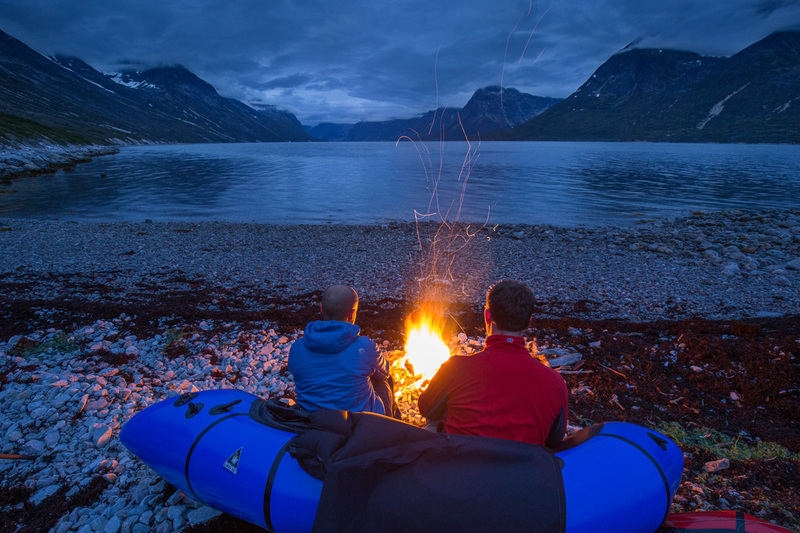 Before I knew it I was sat with Harsharn in front of a driftwood fire on the edge of the fjord, completely alone. The evening was defined by the gentle sound of lapping waves, occasional glimpses of towering peaks appearing through the cloud and an overwhelming sense of anticipation. Our first evening on the Fjord. Not a bad way to start a trip. Our first morning started in cloud and we set about packing up with mosquitos already becoming an irritation (it was only the beginning!). Our first camp the following morning. The ground was comprised largely of mussel shells. We paddled out in out rafts onto calm waters with only a modest distance to cover that day. We took a small detour to a lonely iceberg on route – having never seen one up close before we were surprised to find it glossy and smooth – perhaps my hopes of walking on one weren’t realistic! 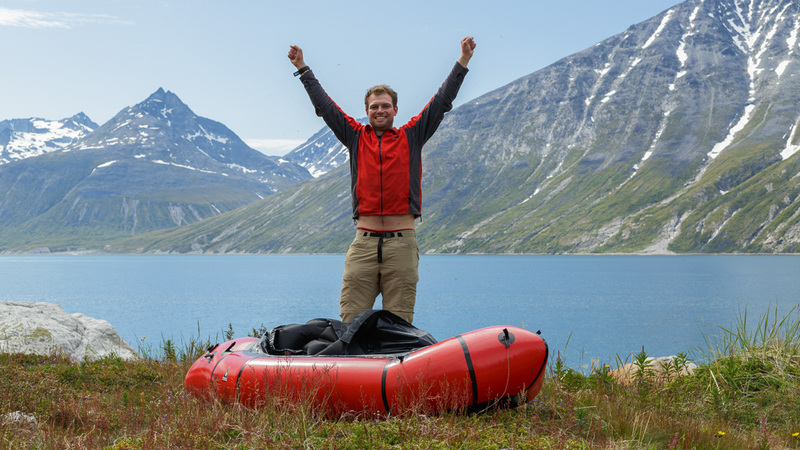 Paddling up the fjord – the icecap is surprisingly far away! We took our time paddling, there was no hurry and we were still getting used to the boats. Sometime after noon we arrived at our planned camp spot. We dragged our boats up the shore and placed rocks inside to prevent them blowing away. I spent most of the afternoon shooting time-lapse near the tent and lazing around in the sunshine. An old Norse settlement had me wondering what life would be like here without all the trappings of modern life – I guess I was about to find out! 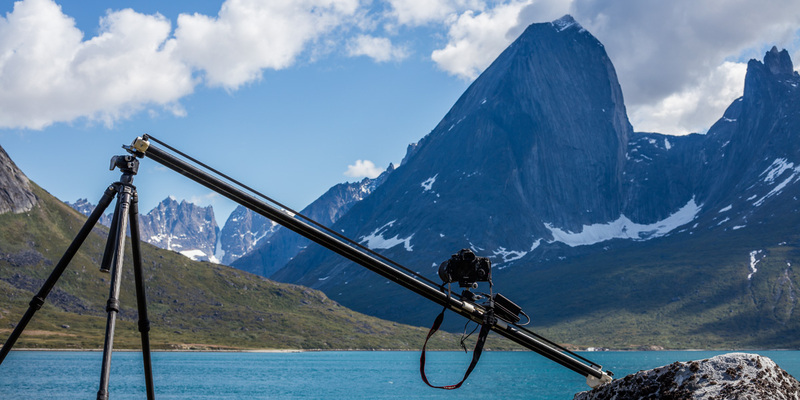 As evening approached we packed up our camera gear and began our hike uphill to gain a better view over the fjord. Harsharn, a fell runner, flew up the slopes. The uneven ground and birch bushes made the going a little tougher than it might otherwise have been, but it wasn’t long until we were a couple of hundred meters up. I was gasping for breath having set off too fast so we took a break to enjoy the view. I knew instantly that he was right. Tiny though the dot was the bright red colour was unmistakable. Panic set in almost immediately – it was our only way to travel and crossing the fjord was critical to continuing the trip. I started running downhill frantically. I tripped and fell three times as I raced through thick birch bushes. At the waters edge it was clear what happened – the tide had risen and simply floated the boat away. I had no time to marvel at my stupidity and instead pulled off my boots and jumped into the water to grab Harsharn’s boat which was also floating away! I found my paddle in the water nearby and started franticly paddling after my boat. Within a minute I knew it was a fool’s errand. The boat would be more than a mile away by now and, without a passenger, the wind would be blowing it faster than I could paddle. The waves which earlier in the afternoon were almost non-existent were now a choppy two to three foot. To make matters worse night was coming, I only had a baselayer on, I had no way of keeping warm overnight and Harsharn would have no idea where I was or if I was safe! I turned back. Harsharn was waiting at the waters edge and we both spent a while looking for the other half of his paddle which must have floated away. The combination of wet clothes, cold wind and worry made me feel incredibly cold, and now that the sun had set I couldn’t paddle far to search for it. We returned to the tent to come up with a plan. There was a fair amount of reassurance in our conversation. On the plus side we had 8 days of food, 1 boat, a near perfect weather forecast, great equipment, our health and an SOS beacon. This was an awful situation to find ourselves in, but far from dangerous. I took off my wet clothes and hopped into my sleeping bag to warm up. 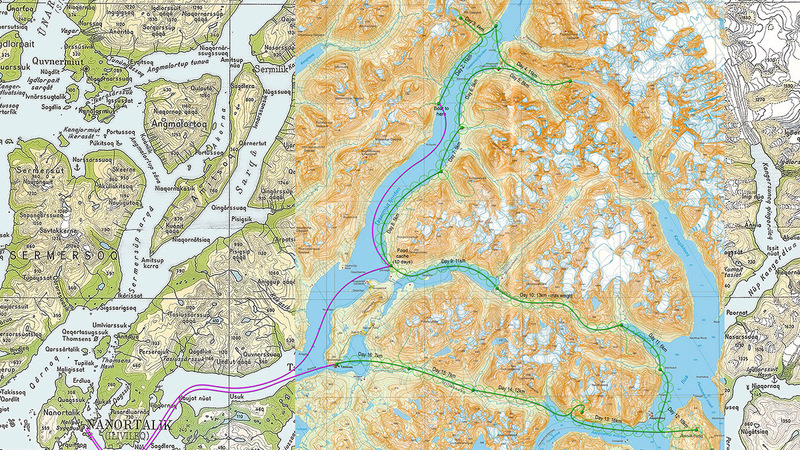 We put some water on to boil and started to discuss the possibility of me paddling the fjord the following day. Understandably Harsharn was a little concerned about splitting up. Whilst we were chatting the stove started to make strange noises. At first the passengers waved at us, and then they realised that we might need help and the boat manoeuvred closer to shore. The waves made a landing impossible but we managed to shout a message across the water which we hoped they understood. We explained the problem and asked if they could talk to Neils at the tourist office in Nanortalik. Hopefully he would send a ‘search’ boat out the following day with a spare paddle for Harsharn. Then we waited. The morning was clear and still – I somehow managed to take a few photos despite the situation! The problem with sending a message, and then having no contact, is that you have no idea whether it has been received or not. That morning was agonising. We awoke to perfectly calm water and I paddled as far as I could down the fjord in search of Harsharn’s missing half paddle, but to no avail. I forced myself to take a few photos, if only as a distraction, but we spent most of our time inside the tent, out of the sunshine and mosquitoes, playing cards and looking regularly out over water. It was 2pm by the time the boat arrived – we were massively relieved! Malik, who had initially dropped us up turned up in his boat with a grinning family all of whom had been into Nanortalik that morning. We hastily did the last of our packing up and hopped in his boat, happy to see him. We took a ride all the way around the fjord. It was clear that the boat would be north of our position since the wind had been blowing in that direction in the evening before and it was blowing the same way now. We first tackled the western shore, went all the way up to the icecap and then came back down the eastern shore. The scenery was spectacular (for people visiting the fjord it is absolutely worth going to the end) and the kids brought a surreal element to the journey by blasting our ‘Sail’ by AWOL Nation as we made our way up the fjord! Whenever I hear that song it reminds me! As we made our way around the fjord I hopped out from time to time to check potential spots the boat might have become stranded as the tide came out. Each time I hoped that I would see a flash of red, but whilst we found plenty of flotsam the boat was nowhere to be seen. By the time we had reached the valley of Klosterdalen it seemed there was nowhere else to look. The only conclusion we could draw is that another boat had gone up the fjord unnoticed and picked up my boat. At least from Klosterdalen it would be possible to walk the remaining distance (or so we thought at the time, in reality it would have been beyond me physically!). The boat dropped us off and we said goodbye and thanks to Malik and his family. I was a pretty unhappy chap sat on the shore in a cloud of mosquitos missing my £900 packraft with the fun part of the trip ruined. I started to wonder if I was really ready for the trip and my thoughts turned to home. Then the boat returned full of smiling kids, a glossy red packraft on top. I hope I can remember that feeling of releif and happiness for a long time! As you may have guessed, the boat was blown by the wind up the fjord and then when the wind dropped the tide had dragged it out whilst we slept. Our total loss was a neoprene sock and half a paddle. Malik had brought a spare paddle for Harsharn so we’d got away almost unscathed albeit Harsharn now had to find a way to carry a full length paddle! That afternoon we made camp and I went for a swim in the river that flows through Klosterdalen. In the evening we took a short hike to the north to get a higher view over the valley. It was on this route that we first encountered the exhausting nature of bushwhacking, but we fortunately only had a few patches of trees to get though. Hiking over an easy patch of ground. Although there are flowers in Tasermiut, patches of this density are unusual. Klosterdalen looks like paradise from above and we didn’t anticipate many difficulties hiking up the valley. 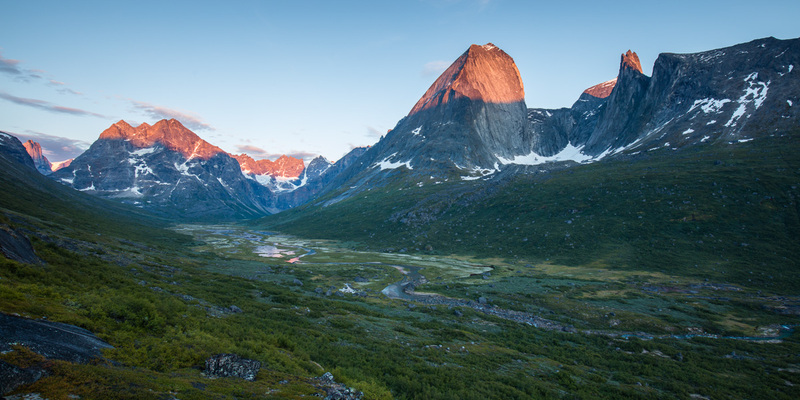 The views over the valley were majestic, matched only by the towering peak of Ketil above. If only the cloud gods had been kinder I am sure we would have hiked higher. The day ended with an obligatory fire where we warmed ourselves excited about the coming hike. We were 2 days into our adventure but it already felt like a week! 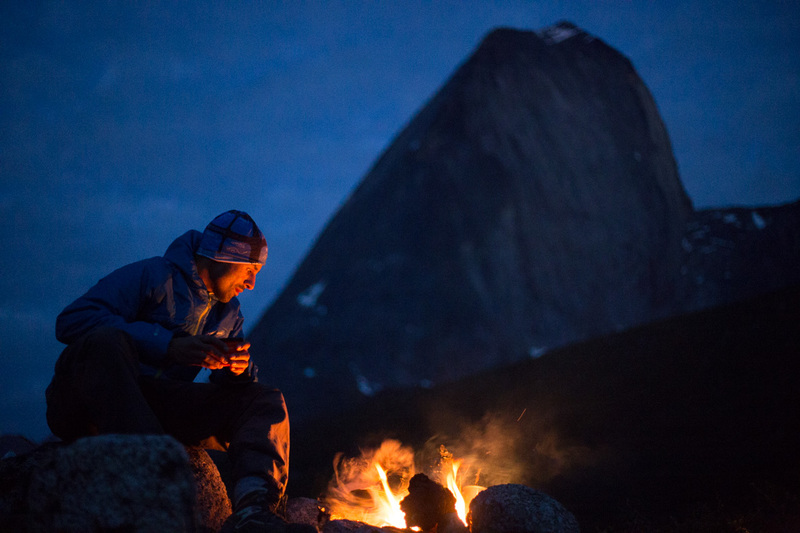 Harsharn, my hiking companion, enjoys the warmth of the fire beneath the collosal NW face of Ketil. Written by alexnail, posted on 17th February 2016 at 2:51 pm, in Trip Reports and tagged backpacking, greenland. Permalink. RSS feed for this post. A fascinating, well presented blog with superb images. Made me feel as though I was there! Thanks Gary, thats a real compliment for me, I still think I’m very much learning when it comes to writing! Sounds like an amazing adventure with ups and downs even after 2 days. 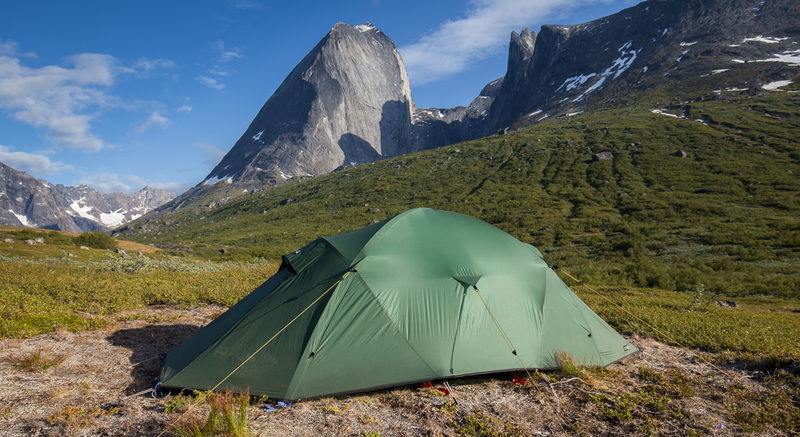 I hope to do something like this one day – freedom to explore and camp as you like… Looking forward to the rest of the story! Cheers Esen, to be honest many of my personal trips have that flexibility. You just plan to do a 4 day distance in 7 days! good way to do it.. 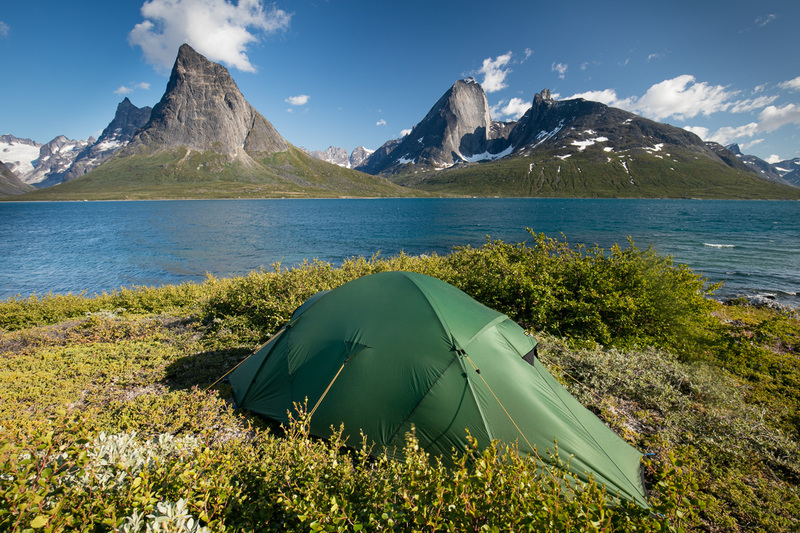 I have been looking at few places in europe, and anywhere i look seems to forbid wild camping – which is really annoying when you want to be flexible..
looks that way. I looked at Slovenia and Spain (pyrenees) so far. I believe it’s the same story for italy/dolomites unless you pitch at night and leave before morning? Wow, what an amazing place. No adventure ever goes smoothly, it only sets you up to make better decisions for the next time. It’s character building. I hope to get an epic adventure in the next couple of years, the rat race gets tighter. Just come back to re read your Greenland blog and look again at the pics. An epic trip for sure and great read. 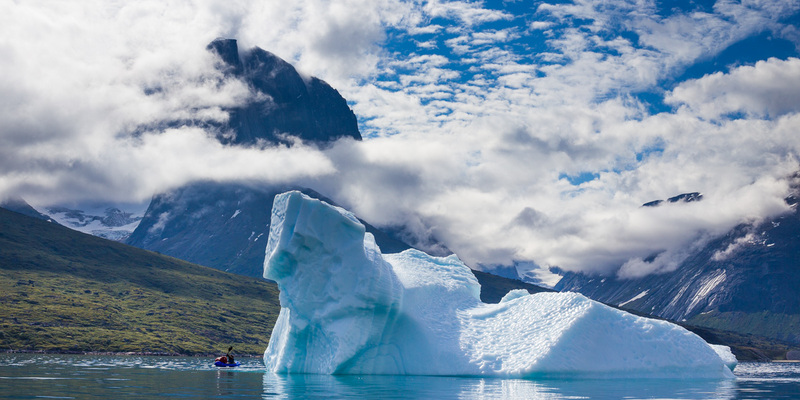 Fantastic blog ive been planning to go to Greenland and lookimg at the logistics this is amazing !!! What an adventure so far, Alex. Very good read.